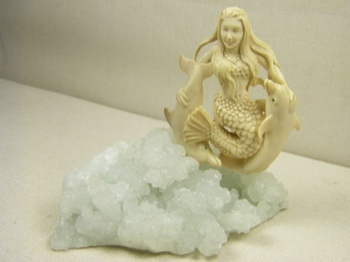 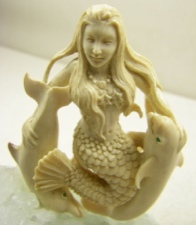 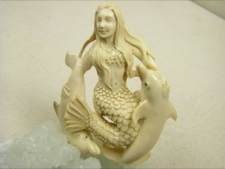 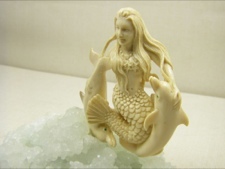 This delicate mermaid is beautifully handcarved in Fossil Ivory. 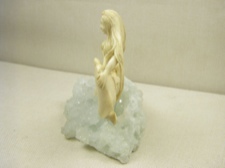 She sits on top of a light blue Crystal and is accompanied by two playful dolphins. 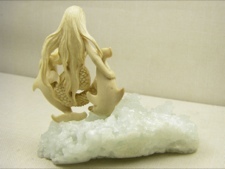 Extremely unique and one of a kind.